Environmental Armageddon has become a staple of modern science fiction, and it's already been imagined in so many different ways. 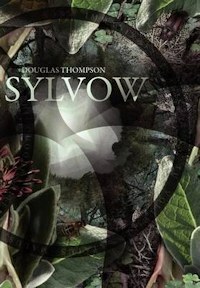 But whatever you were expecting the end to look like, I'm pretty sure it wasn't much like Douglas Thompson's Sylvow. Sylvow is a city somewhere in the middle of Europe, surrounded by a vast forest. Most of the story centres on the brother and sister Leo and Claudia Vestrit, and their families. Leo has wandered off into the forest and hasn't been seen for a long time. His sister and his wife Vivienne are left with no idea where he is. He occasionally sends letters, but these uninformative missives read like the ravings of a madman. Where is Leo, and is he the only one of them who actually sees things as they really are? 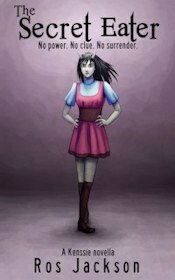 Vivienne is plagued by peculiar dreams, and she's struggling to come to terms with her husband's desertion. Anton is recovering from mental problems and hallucinations when he comes into Vivienne and Claudia's life. Claudia has family troubles of her own since her relationship with her husband has hit a rough patch. As the three of them try to sort out their problems, in the background the natural world is gradually going crazy. This begins subtly, with an increase in dangerous dog attacks and other natural phenomena that seem a little off. But as the book progresses the environment gets odder and more horrific. Strange, vicious plants and unpredictable animals turn the world of Sylvow into a twisted acid nightmare. To begin with this seems like an extreme version of the moralising tone found in movies like The Day After Tomorrow and Silent Running: mankind has wrecked the natural world, and we deserve punishment for what we've done. Certainly there's a hint of that, but there's more going on than that simple moral certainty. Sylvow is unconventional in thought as well as in the way it's presented, so prepare to have your preconceptions challenged. Although there's a section in the middle where Douglas Thompson seems to be on the verge of reiterating a few trite platitudes about respect for nature and man's blindness to natural beauty, he soon expands the debate into something much more wide-ranging and ambiguous in its conclusions. For instance, it's interesting how the author links his characters' feelings about adultery with environmental cataclysm and our tendency to see only what we want to see most of the time. Claudia and her husband Franco are often rational, and sometimes even too level-headed, in the midst of a world that's gone quite insane. As a result it's not always clear how we're meant to feel about them. If there's a flaw in this story it's that these two come across as a touch bland. However the same can't be said for the rest of the story, which is spicy, horrific and downright bizarre in places, and it's not true for the other characters. Yet what I really found to admire in Sylvow was the novel and intelligent way it encourages readers to consider the relationship between man and nature in a new light.